Every Clint Eastwood picture brings its great expectations, and rightly so. Which is why I was a bit disappointed with his latest effort “Jersey Boys”, a big screen adaption of the Broadway show of the same name, about the rise and fall of the popular 60’s band “The Four Seasons”. I give Eastwood and the actors credit for their commitment to this tough assignment, but it’s still not quite right, despite the colorful production and the many memorable songs. 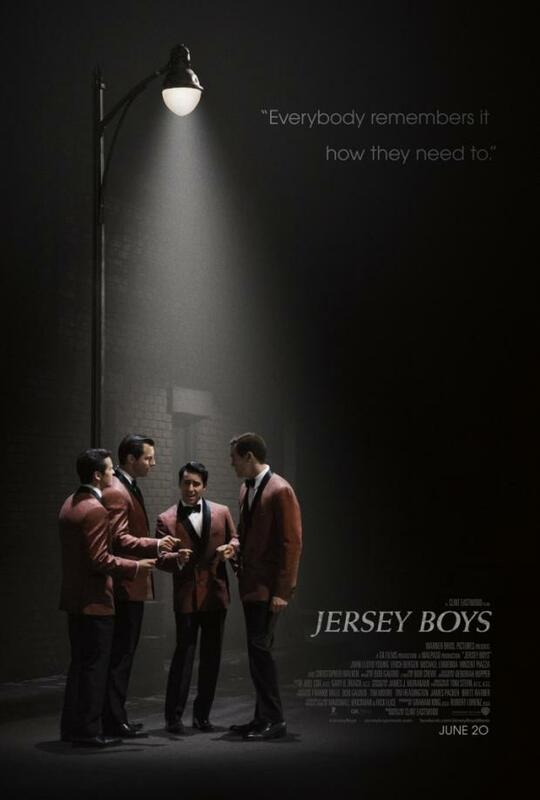 John Lloyd Young, who won a Tony Award for his portrayal of Frankie Valli onstage, reprises his role and does such a good job.The other members of the Four Seasons are played by Vincent DiPiazza, Erich Bergen, and Michael Lomenda and they are equally convincing. Hearing songs like “Sherry,” “Big Girls Don’t Cry,” and “Walk Like a Man” is nothing short of wonderful. But anyone looking for greater insight into these guys’ personality will have to look elsewhere. This film is strictly superficial. And ultimately that’s my problem with it.There is much to admire in the masterful filmmaking and superior performances on display and there is no way one can dismiss a film of such high quality…but I never felt entirely satisfied. I was one of the few that enjoyed J.Edgar. But Eastwood can certainly do better.